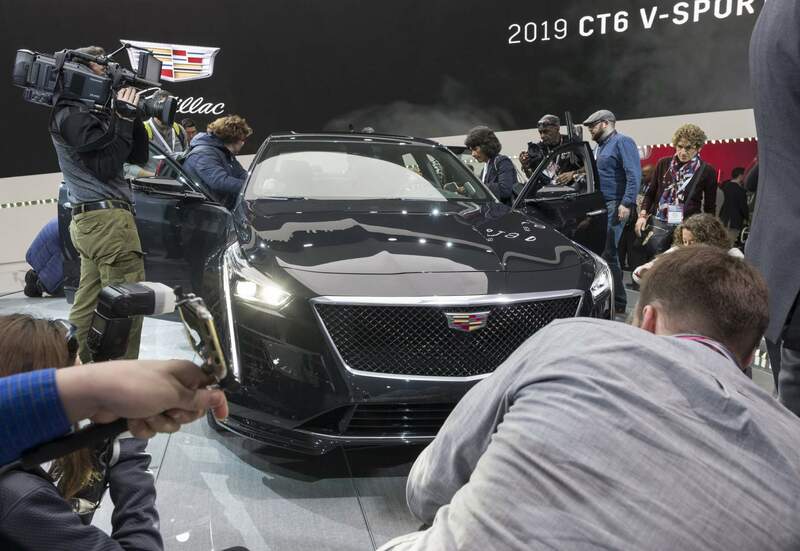 Amid reports of Cadillac not dropping the CT6 from the U.S. market, here’s other refreshing news for fans of the American luxury sedan. By 2:30 p.m. the same day, all 275 cars allocated to the United States were sold out. 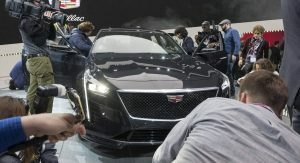 The news was broken to MotorTrend at the Detroit Auto Show by Cadillac President Steve Carlisle. 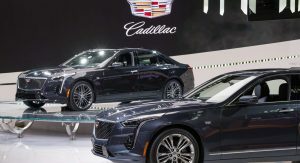 That’s quite an impressive feat for a car that starts at $89,785, even factoring in the two days at the Cadillac V-Performance Academy at Spring Mountain Resort in Nevada included in the Cadillac CT6-V’s price. 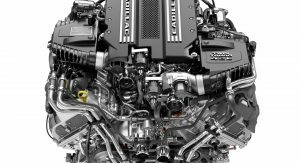 Announced in March 2018, the hand-built Blackwing V8 that powers the CT6-V is a 4.2-liter twin-turbo unit that makes an estimated 550 hp and 627 lb-ft (849 Nm) of torque. The engine is hooked to a Hydra-Matic 10-speed automatic transmission (10L90) that drives all four wheels. 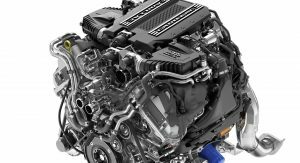 Cadillac hasn’t released performance specs yet, but chances are the CT6-V will be a formidable opponent for the likes of the Mercedes-AMG S63 and the upcoming Audi S8. The high-performance sedan rides on 20-inch V-Sport wheels and uses 19-inch Brembo brakes developed specifically for it. 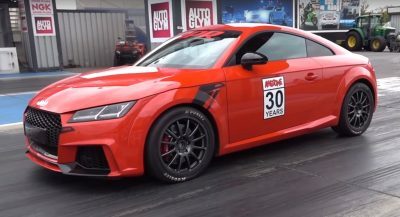 A technological showcase, the 550-hp sedan also features modified steering and Magnetic Ride Control damper calibrations, an exhaust system with active valves, track-tuned Active Rear Steer, revised AWD torque split, and track-focused stability controls, among many other things. And, yep, it’s a SEDAN, GM. Who’da thunk? Impressive, good for them ..
How is it impressive? 275 cars? So the dealers have bought them, now we’ll see if they actually are bought by actual buyers. Ok, you go find out who the buyers are and get back to me lol..
Clearly you don’t know how cars are sold do you? Clearly you are guessing that dealers bought them..
Again, do you know how cars are sold? Dealers put the orders in to the factory, that doesn’t mean that actual customers have bought them yet. I mean this is well known in the industry. Sorry if you can’t grasp this. I can grasp that you are a Cadillac hater..can you grasp that there are buyers out there called collectors? They buy cars with low production orders. This isn’t a regular ct6. Again,,you are GUESSING who bought that cars..
Nope, I call it as I see it. Sold out means that the dealers have bought the allocation. 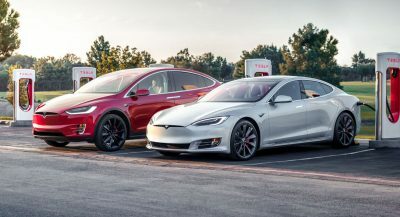 It doesn’t mean that there are actual buyers waiting for the car. This is an industry FACT. Sorry if you don’t understand. 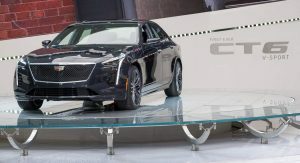 BTW, Cadillac would have to change completely into something truly competitive to get hater status. That’s good to hear, and I would LOVE to pick up a used one in a few years. I just wish the interior were nicer…..
Good news, there will be about 275 used ones for sale in a few years. Um, isn’t that with every car ever sold? No, but mostly owners of a Prius, 3-Series, Accord, Civic, or LEAF that trade in to buy a Model 3. This car is so nice. Cadillac should make this version more accessible. 275 cars is basically a unicorn. Only driven by GM execs because nobody in their right mind is spending $90K on this. I didn’t know Hertz was still buying cars. Last time I went to Hertz they had just about all car makers there. So that joke is old. And yet it’s true son. Who do you think bought all 80 of the flippy door Continentals? TWO HUNDRED AND SEVENTY FIVE vehicles is not impressive. I’m sure they were just dealers purchasing for inventory. Steve Carlisle needs to be fired from Cadillac, he’s ruining the brand. This is cool, but isn’t it the CT6 V-sport? 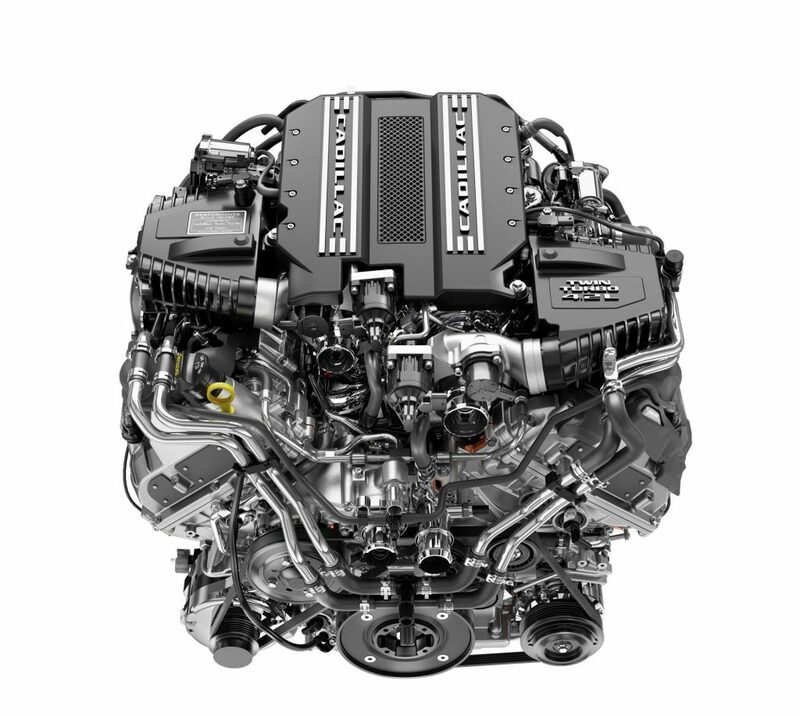 Not a true V like the CTS-V and ATS-V? Why is only 275 were allocated for the US to start with? Because GM in their brilliant strategy has already decided to close the plant where the car is made. Now they’re trying to figure out how to keep production going, somewhere else. I mean you can’t make this type of dumb stuff up. Right, I remember reading few days that’s GM/Mary confirmed that musk is not interested in their factory. So this makes sense. Thanks. That means you’re done. You’ve got nothing, but hopefully you can now grasp how cars are sold. This car is highly anticipated along with that new 4.2 TT. I’m sure that there are much more then 275 people that are willing to buy this car. Your argument is just dumb! Haters gonna hate. Na you just don’t understand how car sales work so it’s you that’s actually dumb. I’ve only been 20 years in the industry, and some biased uneducated kid tells me that I’m wrong! LET’S SEE IF CADILLAC IS SMART ENOUGH TO GET THE MESSAGE AND CONTINUE TO BUILD MORE DESIRABLE CARS. 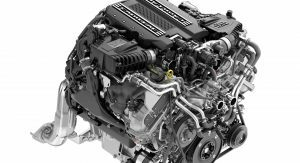 Finally, a new and modern V8 engine, with proper DOHC and variable valve timing. Took them long enough. I hope this one is a flat plane as well. Cant wait to hear it roars. No way it is flat plane. The Northstar V8 has been in production since the early 90s. ZERO TO SIXTY. Exactly how quick will the new V BE? Any guesses? I say….. 4.2 seconds. GM needs to do more of this type of thing to elevate the brand. Low production run, limited supply , high performance models. The facelift of the CT6 is actually really nice. I just wish their communication wasn’t so bad though. Wait, GM could only find 275 people in Florida over the age of 90? Yep and some dealers will still have one or two sitting around unsold. This is GM we’re talking about not some exotic. Hate? Nope, I just find it pathetic that Cadillac has been reduced to celebrating that they can sell a whole 275 cars. It’s like the saddest thing ever on a car that even GM doesn’t know what they’re going to do with. Yet you GM apologists think that this is something to crow about. There are 928 Cadillac dealerships in the USA ,with only 275 of this model being built . There’s no way dealers will have any sitting around unsold. Most dealers won’t even be able to get one.